In a pan over a low heat, add a splash of water and two-thirds of the basil leaves and heat until wilted. Take it off the hob, leave to cool, then carefully squeeze out the excess water. Pop the leaves in a blender with 75g of the ricotta and blitz to a purée. Transfer it to a large bowl along with the remaining ricotta, the parmesan and eggs, and whisk vigorously, until light and airy. 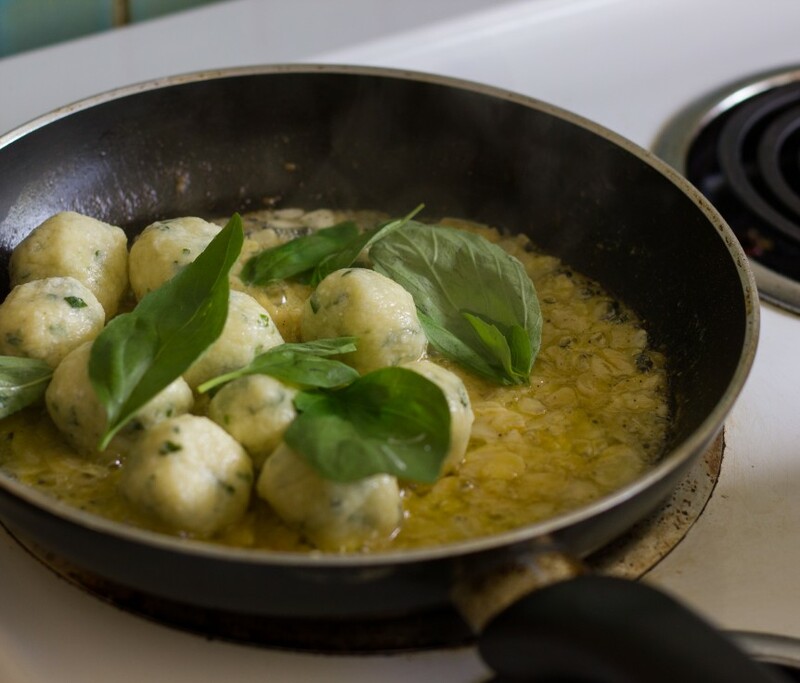 Sprinkle the strips with another thick layer of semolina flour, then cut them into 2–3cm pieces, making sure the gnudi are well coated in the flour. Cover the tray with cling film and pop it in the fridge overnight. Meanwhile, melt the butter in a pan over a low heat and add most of the reserved basil leaves. Cook for 1–2 minutes, until the butter starts to bubble and the leaves have crisped up. Finely grate in the zest of the lemon and season well. Transfer to a bowl and set aside. Remove them with a slotted spoon and gently toss them in the lemon butter. Divide between bowls and serve with grated pecorino and the rest of the basil leaves on top. Halve the zested lemon and serve on the side for squeezing over.